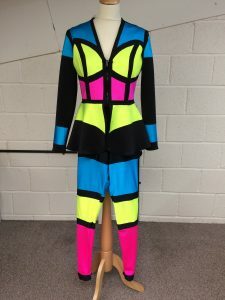 Costume World – Great quality costumes! 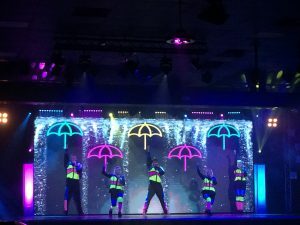 At Costume World UK we design, manufacture and install costumes to the entertainment, cruise, theatre and film industries. We work closely with our clients to provide them with a high quality product, specifically tailored to their requirements. If you would like to find out more, please contact us by phone, email or feel free to come and visit us at our workshop. Today we had our fittings for Beatstreet and all I can say is WOW! Elly and the team have done an amazing job, we had very few alterations to deal with and the cast were super excited! Thank you very much, our journey from start to finish on this project with Costume World has been first class! I am writing to thank you for all your hard work with our new show. We are absolutely thrilled with the show and we are really grateful for your incredible contribution. The costumes look stunning! We have received lots of positive feedback from the guests, the GMs and the teams so I have no doubt this show will be a huge success, thank you.